In 2017 NL MVP Giancarlo Stanton and 2017 AL ROY Aaron Judge, the Yankees have a power duo the likes we haven't seen since Maris and Mantle. While expecting both sluggers to repeat their 2017 performances might be a bit far-fetched, the Yankees should be atop most offensive statistics this season. Behind Judge and Stanton you have Gary Sanchez and Didi Gregorius, both coming off career years, and hopefully if/when healthy, Greg Bird. In the interim, I’m excited to see what Tyler Austin can do with extended opportunities. Bird is expected to be out until late-May/early-June, so Austin will get his fair share of starts at first base. We’ve chronicled on our podcast a lot how he has crazy opposite field power and a swing tailor made for Yankee Stadium. Now is his time to shine. 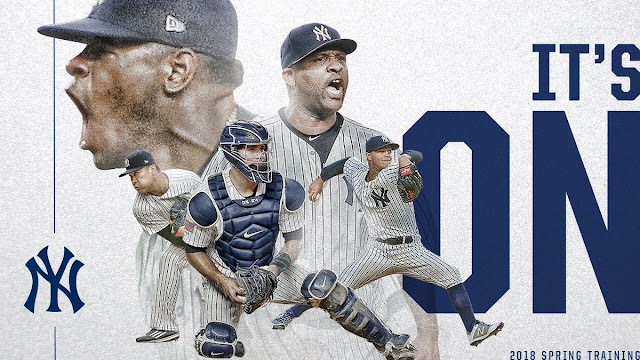 The Yankees have a top 10 rotation in baseball in Severino-Tanaka-Sabathia-Gray-Montgomery and arguably the league's most dominant bullpen, so putting runs on the board will be key to earning victories, but of course that's something this squad should have no problem with. The lineup isn't just top-heavy, either. 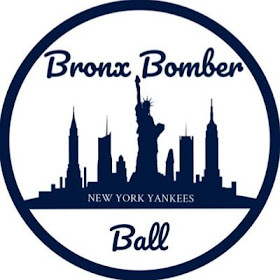 Aaron Hicks, Neil Walker, Tyler Wade, Brandon Drury and eventually Miguel Andújar and Gleyber Torres will all provide solid bats in the 6-7-8-9 spots, making for arguably the most well rounded New York lineup since 1998, the year the club went an astonishing 125-50 (including postseason) en route to their 24th World Championship. The New York bullpen returns all seven members from their playoff run last year, plus the addition of Jonathan Holder. Look for this unit to help shorten games and stifle opposing offenses night in and night out. The Yankees’ 2018 season really could be something special. Whether it’s the lineup containing Aaron Judge, Giancarlo Stanton, Gary Sanchez, Greg Bird (later this season), and Didi Gregorius, the bullpen looking like an all-time great unit, or the farm system still overflowing with talent, the Yankees are set up for many World Series runs in the future. However, for me, what I’m really interested in is how the under-the-radar players will do. Obviously, I’m excited for the possibility of Judge and Stanton combining for 100 homers, but players like Brandon Drury, Neil Walker, Tyler Wade, and Tyler Austin are also pivotal to the team’s success. The Yankees are very high on Drury and believe that moving him back to his natural position of third base could unleash some more of his potential. If this happens, we could be looking at another hitter with 20-25 homer potential. Walker meanwhile has been very steady throughout his career but has dealt with injuries recently and will most likely have diminished playing time on a Yankees team stacked with infielders – the exception here being if he's given a lot of time at first base with Bird out. How will he adapt to this? Wade struggled in his big league debut last year, but hit .310 with an .842 OPS in AAA. Should he replicate his AAA success, the Yankees have a player with speed and on base abilities, which would be another huge factor. Finally, Austin could be the single biggest factor. Greg Bird will miss six to eight weeks recovering from his latest surgery, and the Yankees have said that they plan on Austin being the starting first baseman in his absence. His immense opposite field power could play really well in Yankee Stadium, which gives the team another potential 20 home run player. Players like these four won’t singlehanded make or break the season, but they have the potential to provide a huge impact. Following the wild ride that was the 2017 season, the anticipation for this season is palpable. While there were many question marks surrounding the 2017 “Baby Bombers”, their success last season has them penciled in as World Series favorites. It was a much different Yankees team we saw last year than in years past. No longer was the roster loaded with high priced veterans past their prime, instead, it was a core of young talent that banded together and blew everyone's expectations out of the water. Now, for 2018, they have added to that core the reigning 2017 NL MVP in Giancarlo Stanton, creating a lineup that is going to give opponents nightmares. Top to bottom there is power, Judge and Stanton grab the headlines, but Sanchez, Bird (when healthy), Gregorius and even Dury and Gardner have shown they too have some pop. To go along with that murderous lineup, the Yankees also have arguably a top 10 rotation and an elite bullpen. Luis Severino showed that he has ace-like stuff in his 2017 campaign and it will be very interesting to see how he picks up on that in 2018, as well as which Masahiro Tanaka shows up for the majority of the season and if Sonny Gray will thrive in his first full year in pinstripes. The bullpen will now get a full year to show how elite they truly are, and with the group of guys they have shortening games, and the runs being produced by the offense, the 2018 Yankees formula is shaping up to be a good one. It’s an exciting time to be a Yankees fan, and there are so many storylines heading into the season that intrigue me. To not be redundant, I’ll start off with this: how will Dellin Betances look this season? The 6’8", four-time All Star from the Bronx was absolutely dreadful from the 2nd half of last season all the way through the postseason, so seeing if Betances is able to get his stuff back just like he did in the first half of last season will be something to watch. Another storyline to look at is who will be the ace of this rotation? Severino earned his role as the ace last season by finishing third in Cy Young voting, yet Tanaka and Gray can both take that coveted role from him quickly if Sevy turns back to his 2016 form and if Tanaka and Gray have bounce back years. Something else to watch out for this season with the recent news that Greg Bird will be out six-to-eight weeks: who will be the long-term replacement at first base? Tyler Austin would be my choice, but there are several others who can take that role, not to mention the fact that Austin has had injury issues of his own. And oh yeah, Giancarlo Stanton, the guy that won the N.L MVP last year, is now in Pinstripes, and he should look pretty good in Yankee Stadium next to that other guy who is also pretty big and hits a lot of home runs. That should work out well. First of all, I am extremely excited for baseball to be back in general; after persevering through months without any MLB games, I can’t wait to sit back and watch the greatest sport in the world. This year, there is a heightened level of anticipation for baseball’s return because of the stacked lineup that the New York Yankees will be rolling with in 2018. The Yankees were one win away from a World Series appearance last year, so I am excited about the fact that GM Brian Cashman has improved the roster over the offseason, most prominently through the addition of NL MVP Giancarlo Stanton. My gut tells me that Stanton will definitely enjoy playing 81 games in Yankee Stadium, and his home run production will likely increase this year (how crazy is that?). A lineup consisting of Stanton, AL ROY Aaron Judge and Gary Sanchez will give opposing pitchers nightmares and is undoubtedly what I am most excited for as a Yankee fan. Following a relatively unexpected run of success in last year’s postseason, the revamped 2018 Yankees take the field with one goal in mind: hoisting the Commissioner’s Trophy at the end of the season. The Bombers stuck true to their name, making the biggest splash of the offseason by reeling in Marlins slugger and reigning NL MVP Giancarlo Stanton. Adding him to a lineup that already contains such hitters as Aaron Judge and Gary Sanchez makes this arguably the most stacked lineup across the league. Playing in a division that features some of the most hitter-friendly parks in baseball, expect some eye-popping offensive numbers. Another fun aspect this season will be seeing how the starting rotation performs. The Yankees have a bona fide ace in Luis Severino, who went 14-6 with a 2.98 ERA during his 2017 campaign. Behind him is fifth year starter Masahiro Tanaka, who, while struggling with the long ball during the regular season last year, was an untouchable force in October. It will be interesting to see which version the team gets for the majority of the year. Filling out the rotation are veterans CC Sabathia and Sonny Gray, as well as sophomore pitcher Jordan Montgomery. This is the same rotation that pitched the Yankees a game away from the World Series, so I have no issue with the team sticking with what worked. While we all enjoyed what transpired during the magical October run last year, 2018 feels like all the pieces are in place for something truly memorable to unfold before our eyes. The majority of the talk around the team has been the offense, and rightfully so. With that said, the pitching and defense are just as legitimate, and opponents would be doing themselves a disservice to overlook it. The next six (hopefully seven) months are going to be one hell of a ride, so buckle up, Yankees Universe. After attending the American League Wild Card game, I knew that there was something truly special about this group of Yankees. We all knew that they had the wonderful regular season, and that the young players were displaying why they were labeled as studs as minor leaguers. However, all of last season the Yankees were labeled as the team that was contending earlier than expected and overachieving. At a point that label diminished and underrated was the true describer of this Yankees team. Neither of those titles apply anymore as the Yankees are not only favorites to win the AL East, but also to be the last team standing come October. Similar to the prevalence of the three-point shot in the NBA, the home run is taking the sport over almost as much as it did when a majority of players were on PED’s. 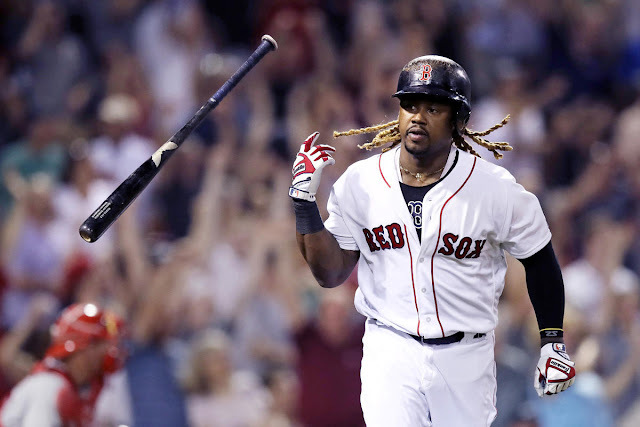 A year after Brian Cashman labeled the Red Sox as the Golden State Warriors of the majors, the Yankees snagged the NL home run leader to add to already a top-tier American League lineup. This lineup has the potential to be the best in the sport and rank as one of the best in recent memory if the team manages to stay healthy and contribute. The bullpen was a key component to the Yankees success at the tail-end of last season and into the postseason, and to have David Robertson and Tommy Kahnle for a full season will improve the bullpen workload and stress tremendously. Factor in the chance that Betances and Chapman avoid the hiccups they had last season, and this bullpen may be the best of all-time. 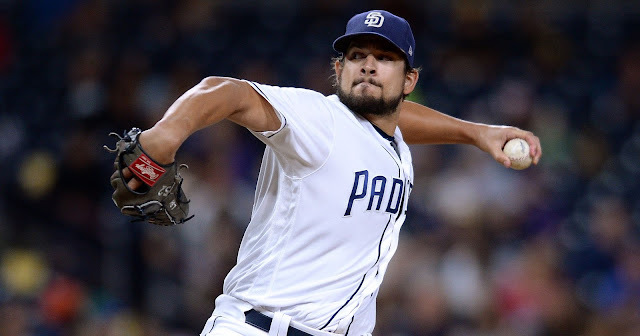 Perhaps the most unheralded storyline is the starting rotation. I believe Sonny Gray and Masahiro Tanaka are in for big seasons after they had down years in 2017. A full season of Gray and a revival of Tanaka would do wonders for a Yankees team that is already stacked in the pen and on offense. I feel as if the most exciting storyline surrounding the 2018 Yankees is by far the infield, particularly 2nd and 3rd base. Coming into spring training, it seemed as if the Yankees were willing to let Tyler Wade, Miguel Andujar, and Gleyber Torres compete for the openings at both second and third base left by the trades of Chase Headley and Starlin Castro. That changed rather quickly, however, as the team acquired both Brandon Drury and Neil Walker to fill roster spots, which has resulted in Andujar and Torres being sent to the minors to start the season. I’ve been very outspoken about how I feel Andujar and Torres can both be better long and short term options than both Drury and Walker and I hope to see the former two youngsters validate this take at some point this season. Drury and Walker have both posted fairly lackluster seasons in recent years and I feel it would behoove the team to give players with higher upside a shot over these two. I understand Andujar and Torres being sent down also has a lot to do with fine tuning their skills and gaining a bit more seasoning before reaching the bigs, but my hope is that day they get the call comes sooner rather than later. If Andujar and Torres are able to perform up to their ceilings, this already elite lineup will be out of this world.